The World Health Summit Startup Track is a program initiated at last year’s event, developed by eobiont, strategic partner of the WHS. 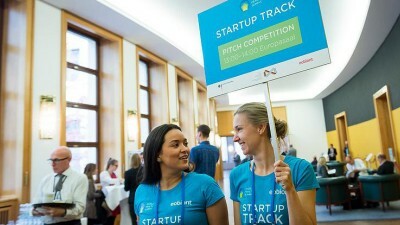 The Startup Track highlights and showcases outstanding ideas and innovative business concepts that have the potential to revolutionize healthcare ad improve global health. The program was such a success, the WHS is bringing it back again for this year’s summit, announcing a call for submissions on its website. Entrants should be active in the field of health including, but not limited to, the areas of public health, digital health, translational science, health policies, education, and advocacy. Entries will be judged on the originality of concept, financial viability, evidence of fundraising, partnership ventures and potential impact on global public health. Application deadline is June 30, 2016 and the summit takes place in Berlin in October.